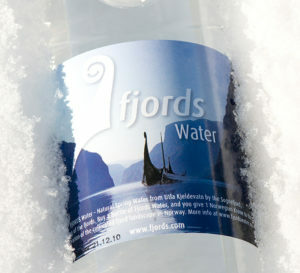 FJORDS Water® is Spring Water produced at Hemsedal Kildevann. Situated in beautiful surroundings in the Hemsedal Valley, between the high mountains and the Sognefjord in Sogn og Fjordane, Norway. Through thick layers of sand and gravel, below the mountain Skogshorn, water has migrated for hundreds of years. In this process, the water is both purified and added minerals – as only nature can do it. 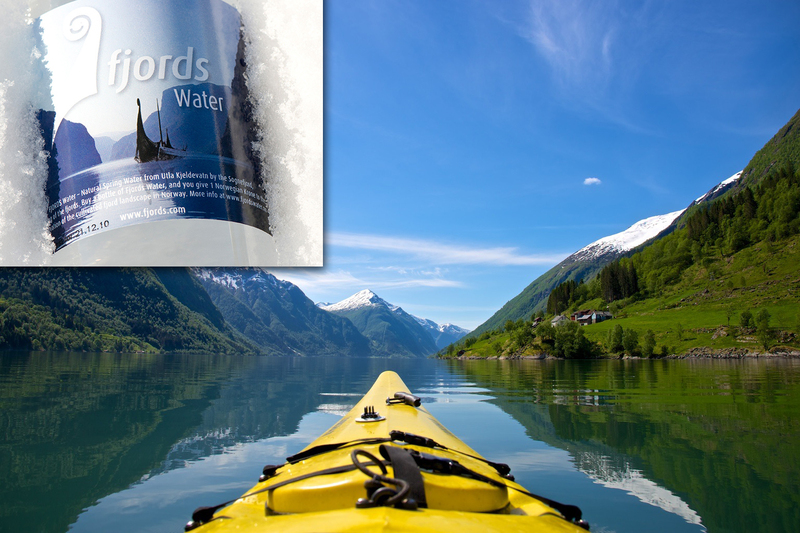 FJORDS Water® – Spring Water – 0.5 liter bottles – Sold in Norway only. A fjord is formed when a glacier retreats, after carving its typical U-shaped valley, and the sea fills the resulting valley floor. This forms a narrow, steep sided inlet (sometimes deeper than 1300 metres) connected to the sea. Fjord, from the norse “fjörðr”, means “der man ferder over” (English “where you travel across”) or “å sette over på den andre siden” (English “put across to the other side”). 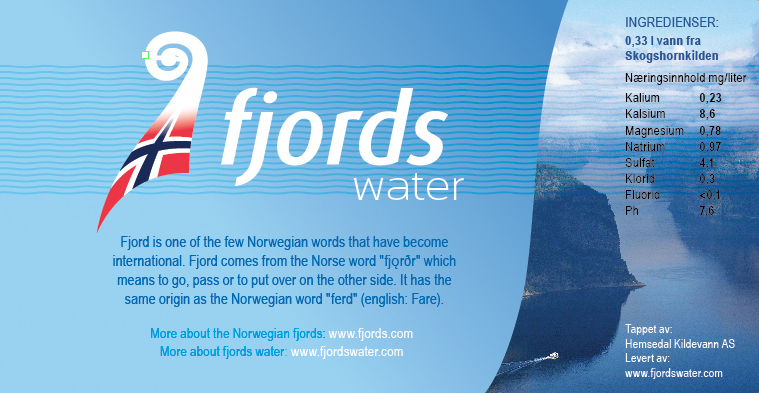 It is one of a few Norwegian words to have become an international word.